Larger Project 7-6, Living Room » Roger Perron Inc. Here is the living room. Notice the rope border. The music room is to the left, partially shown. The beams we installed are distressed with a medium honey stain. 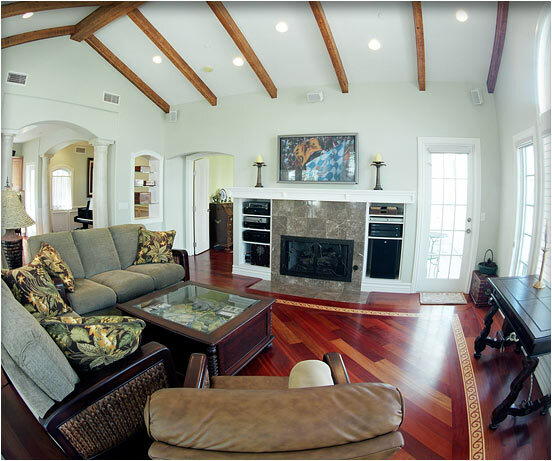 The main feature of this home remodel is the special Brazilian hardwood flooring, with medallions and borders that create a wonderful homelike feeling that is quite exotic, as if you were in another country.